Over the last few years I’ve been trying to establish what kind of arable farming was practiced at Late Iron Age Silchester. This is important as it in informs us about the people living in the Late Iron Age oppidum (were they farmers or craftsmen? ), and how the community was organised (did people work together on the fields every day, or did they keep themselves to themselves?). The agricultural basis of Late Iron Age Silchester is also important for understanding the social processes behind the foundation of the settlement – did farmers from the surrounding region decide to move into a new area? Did trade with the continent stimulate the development of oppida, and were the residents having to generate grain surpluses to trade for imported dining wares and amphora? Or were these settlements focussed on pastoral activities, with very little arable farming taking place? Much of what has been written previously on the agricultural basis of oppida in Britain has been based on conjecture, as few of these sites have been sampled for animal bones and plant remains when excavated *. The modern day landscape in which oppida are situated has heavily influenced opinions on the type of farming, or lack of, which was practiced at oppida. Most of these sites are located in areas of tertiary geological formations (usually clays, sands and silts), or where these intersect with calcareous areas or river gravels which are considered to have been settled earlier in prehistory. Regarding Silchester, Barry Cunliffe has written that “its own immediate hinterland may not have been particularly fertile, but it was able to thrive on the productivity of others.” (Cunliffe 2012, p 19). 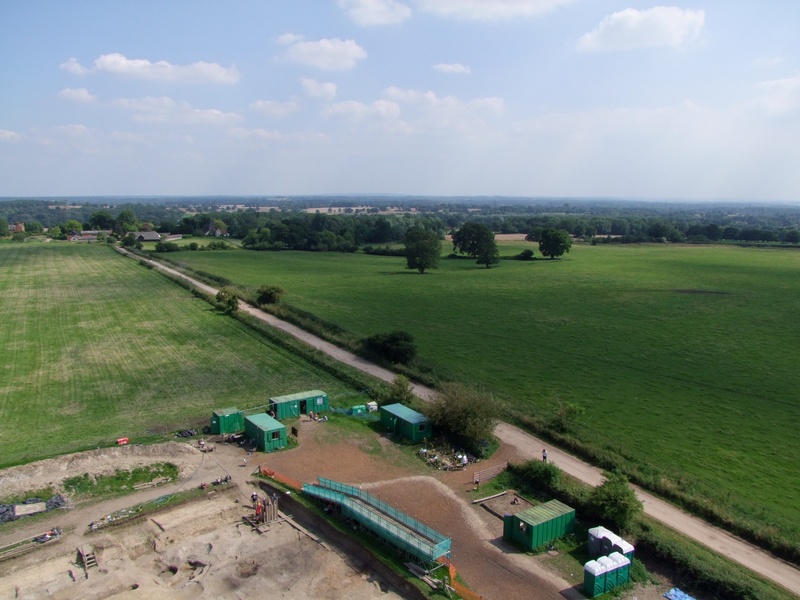 Niall Sharples has similarly written “The environment at all of these sites (including Silchester) is ill suited to arable agriculture as they are all … surrounded by nutrient-poor soils that support heath or woodland. Silchester also produced very little cereal-processing debris (chaff) despite extensive wet-sieving* (Fulford in Fulford and Timby 2000: 555) and it is suggested that this might indicate the site was dependent on other agricultural settlements” (Sharples 2010: 163-164). George Boon, who synthesised the results of the Society of Antiquaries excavations at Silchester, had a more positive take on the potential of the land around Silchester. Writing in the 1970s, he said “The varied terrain around the town, therefore, offered the farmer light; well-drained but poor gravel soils to the west and north-west, for cultivation or for pasturage; and fertile arable slopes to the south, south-east and east” (Boon 1974, p 245). He did though link the limited amount of good arable land around Silchester with “the modest extent of built-up area of Calleva (Boon 1974, p 54). So what is going on in the surroundings of Silchester today? Late Iron Age Silchester is situated on the edge of a gravel plateau, stretching to the north and west. These soils are slightly acidic, free- draining and stony, so not ideal for arable farming. Today, there are extensive areas of conifer plantations, visible on satellite photos. These were established in the last century, to make the most of this area of land. There are also surviving areas of heathland, at Silchester Common and Tadley Common, which are an SSSI along with Pamber Heath. These are Calluna vulgaris (heather) – Ulex minor (gorse) heaths. Samples studied for waterlogged plant remains from the Late Iron Age forum-basilica (Jones 2000) and Insula IX (Lodwick 2014) show that bracken, gorse and heather were available in the surrounding area, but for how long heathland had been present is unclear. To the south and east of Silchester are various damp areas of ground, as water collects at the intersection of the gravel and the underlying clay. An area of hay meadow is present at Ron Ward’s Meadow, another SSSI, alongside Honeymill Brook in Tadley. An area of fritillary meadow also survives to the north of Stratfield Saye (Brewis et al 1996, p. 43), the estate of the Duke of Wellington, although the valley was drained in the late eighteenth century as part of agricultural improvements (Curtler 1912, p505). It is likely that much more of this species diverse grassland used to be present in the region, as recalled in the areas of Tadley and Pamber (Tadley and District History Society 2013). To the north-east of Silchester, in between the conifer plantations and heathlands of the gravel plateau and the hay meadows and pasture of the river valleys, are some areas of good arable land. The tertiary geological formations are very variable, so some of the areas are not too clayey and hard to cultivate, and not too sandy and free draining. The area around Late Iron Age Silchester was much more variable than the broad notions of infertile marginal land allow for. Of course the only real way to establish the type of farming practiced at Silchester is to study the bioarchaeological remains from the site. I’ll be writing about this in future blogs. * The Late Iron Age settlement at Stanwick, N Yorkshire, has been extensively sampled. Some archaeobotanical results are published in Van der Veen 1992, and the full report will be published soon in the monograph. Boon, G. 1974. Silchester: the Roman Town of Calleva. Newton Abbot: David & Charles. Brewis, A., Bowman, P., & Rose, F. 1996. The Flora of Hampshire. Colchester: Harley Books. Cunliffe, B. 2012. Calleva in context. In M. Fulford (Ed. ), Silchester and the Study of Romano-British Urbanism (pp. 15–21). Portsmouth, Rhode Island: Journal of Roman Archaeology Supplementary Series Number 90. Fulford, M., & Timby, J. 2000. Late Iron Age and Roman Silchester: Excavations on the Site of the Forum Basilica, 1977, 1980-86. London: Society for the Promotion of Roman Studies. Britannia monograph Series No. 15. Jones, M. 2000. The plant remains. In M. Fulford & J. Timby (Eds. ), Late Iron Age and Roman Silchester: Excavations on the Site of the Forum Basilica, 1977, 1980-86 (pp. 505–512). London: Society for the Promotion of Roman Studies. Britannia Monograph Series No. 15. Sharples, N. 2010. Social Relations in Later Prehistory: Wessex in the First Millennium BC. Oxford: Oxford University Press. Van der Veen, M. 1992. 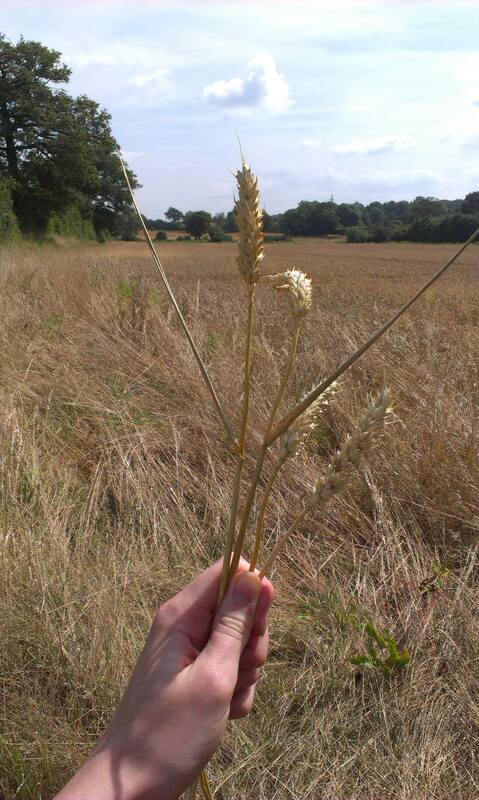 Crop Husbandry Regimes: an Archaeobotanical Study of Farming in Northern England 1000 BC – AD 500. Sheffield: J.R. Collis Publications.